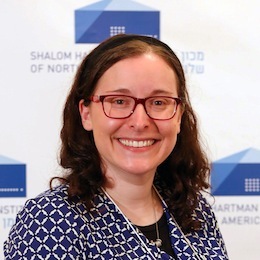 In the fourth of a series of articles on sexual harassment and violence in the Jewish community, the Jewish Independent speaks with Lu Winters of King David High School, Elana Stein Hain of the Shalom Hartman Institute and Rabbi Carey Brown of Temple Sholom. The first step in reducing bullying and other abuse in schools is to work with the students, said Lu Winters, academic and student wellness counselor at King David High School. “I build connections with students in class,” she told the Independent. “And, with various groups in the school, I sometimes take them on trips. After the connection has been built, then the helping relationship can happen. It can happen one-on-one, in groups, in gender groups and through workshops. “At King David, I’ve created a wellness program. Each grade receives a workshop, or two or three, depending on what’s going on during the year, on specific topics that I think are age-appropriate. I wish I could do every workshop for every single grade, but then the academic part of school would fall to the wayside. 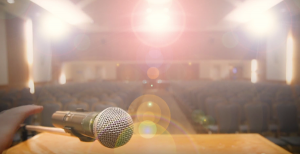 In the greater Jewish educational sphere, the Shalom Hartman Institute has produced a series of videos about related topics and examines how scripture has educated Jews on the subject over the years. 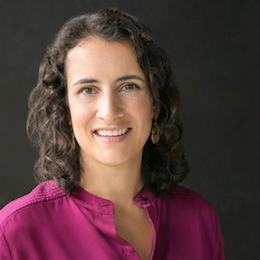 Elana Stein Hain, scholar resident and director of faculty, has been leading the project. The next video talk was by Dr. Paul Nahme, a member of the institute’s Created Equal Team. He speaks on how definitions of manhood are dependent on cultural context. The last talk in the series was done by another member of the team, Dr. Arielle Levites, who discusses the portrayal of women in some Jewish traditional texts. All of the videos can be accessed at hartman.org.il. The educational realm within synagogues has also felt reverberations of the #MeToo movement, according to Rabbi Carey Brown of Temple Sholom. “I have seen an incredible amount of conversation among rabbis about this issue,” said Brown. “Some have been from within female rabbinic circles of women … some confronting it … things that people had kept within themselves for years or decades … and, now, gaining the courage to talk about it – everything from struggles to trying to understand the situation insofar as its professional implications for female rabbis … major discussions are being had on the topic at our annual conferences. A couple of months ago, the synagogue’s Men’s Club had a program on the #MeToo movement and sexual harassment in the workplace, including panel discussion on the topic in which Brown participated. Brown spoke about the Jewish perspective, discussing its tradition of values and ideas around sexual harassment, as well as her own personal experience with harassment. “We talked a lot about consent,” said the rabbi. “A few different pieces of Talmud were discussed. We looked at this one that was about what happens if a man – one who counts money for a woman from his hand to her hand in order to look upon her – even if he has accumulated knowledge of Torah and good deeds like Moses, he will not be absolved from punishment. Abuse can be as simple as the way one person looks at another – if there is a misuse of power or position to objectify someone, Jewish tradition says that is not acceptable, stressed Brown. Over the years, Brown has had inappropriate comments directed at her. She said, “I’ve received comments like, ‘You don’t look like a rabbi’ or ‘If my rabbi looked like you, I’d have gone to shul a lot more when I was younger,’ or comments on my clothing and hair, and such. “I mentioned at the event with the Men’s Club that my experience, both in Vancouver at Temple Sholom and in Boston, has been that the longer that I am the rabbi of a community, the stronger the relationships. And, I feel some of those things begin to fade away … within the regular, active population of the synagogue. “It’s often when I’m in a new environment with people who don’t know me – at a shivah minyan, a wedding or something like that – my antennae go up. I’m very aware that it’s very likely I’ll get comments that are really inappropriate or that I have to psyche myself up a little bit to deal with. What is the nature of this connection? Is it an obligation or an opportunity? Is our commitment to God and the Torah a price we pay for the Exodus, or is it a gift – a gift made possible by our physical freedom, but one that we may choose whether or not to receive? 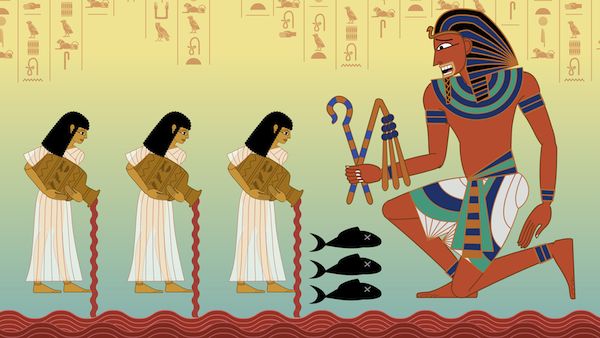 The question we as Jews ought to reflect on this Pesach is whether the freedom from Egypt is limited to liberation from physical servitude, or does it include freedom of conscience and faith. Historically, Jews did not engage extensively in questions of personal autonomy; at most, they spoke about what Isaiah Berlin referred to as “positive liberty” (Berlin, Two Concepts of Liberty). As opposed to the simple, more intuitive concept of negative liberty – “the freedom from” constraints or compulsion, positive liberty is “the freedom to” – the freedom to be all one ought to be, to do that which is the fullest expression of one’s potential. The notion of positive liberty is clearly present in the rabbinic tradition, in such statements as, “There is no free person but he or she who studies Torah.” (Avot 6:2) Freedom, for Jews, has traditionally meant “the freedom to” – the ability to achieve complete self-realization, through a firm, unwavering commitment to God and His word. Standing alone, however, positive liberty is an extremely precarious concept. We need look no further than the 20th century, when different fascist leaders established their rule on a promise of positive liberty (the freedom to live in a stable society, the freedom to attain financial prosperity, the freedom to fulfil one’s destiny as a member of the master race), to appreciate the danger it harbours: the creation of oppressive, totalitarian regimes, violently trampling the rights of their citizens in the name of freedom. Without the underlying basis of negative liberty, positive liberty means nothing more than the freedom to do that which others determine you ought, to fulfil what others have decided to be your potential. This question becomes all the more pointed in the context of the state of Israel. So long as Jews lived in Western liberal democracies, they vicariously inherited the value of negative liberty and functioned within its confines. But an essential question facing the modern state of Israel, the only Jewish democracy, is what concept of liberty does it officially espouse? Is Israel a “free state” that dictates the forms of Judaism that are most appropriate? Or does it guarantee its citizens the right and conditions to determine their own individual Jewish path? If Pesach is going to be not simply a liberation story of our past but a modern, continuous liberation story “in every generation,” we must recognize that positive liberty is an incomplete liberty, that the freedom from Egypt – indeed, our very existence as a free people in our own country – must be accompanied by a commitment to religious freedom and the diversity it will engender. The spirit of Pesach requires a national pledge to free Israeli society of all and any vestiges of religious coercion, including the manipulation of public funds in order to constrain spiritual choices. In the spirit of Pesach, we must commit ourselves to speaking only in the language of education, and never in the language of indoctrination and coercion. One of the great paradoxes of Israeli society is that those who function in the name of positive liberty actively limit the actualization of the spiritual potential of Jews. Consequently, the state of Israel is one of the only places in which non-Orthodox Jews can barely receive a Jewish education. Religious coercion and legislation hasn’t furthered our marriage with God; rather, it has created an ever-increasing rift and divorce. The freedom of Pesach has multiple dimensions. It is our responsibility to ensure it is understood and employed as a catalyst for progress, as a basis for assimilating the broadest notions of negative liberty within our religious language and values. Just as we reject being enslaved by Pharaoh, so, too, must we reject the subjugation of our minds and souls to any authority. In the end, if God is to be the God of the Jewish people, if Judaism and its values are to shape our lives, it will not be because we owe God for our redemption from Egypt, but because we choose a life with God as free men and women. The significance of the seder’s Four Questions should not be confined to being a concrete educational tool for the purpose of teaching historical information to children having a limited sense of abstraction and who bore easily. The questions are a characteristic of the adult intellectual culture during the time of the rabbis. Here the point is not to recount the story of the Exodus to children, but rather to create a dialogue of questions and answers among adults. The questions of the wise child may be thought-provoking to his or her parents; similarly, the questions of one colleague would be of interest to another. Someone who knows all the laws of Pesach is still required to ask questions, and scholars on their own at the seder are required to ask themselves questions. Why? At a certain level, the questions serve as an external pretext to refresh the memory in order to raise the level of consciousness concerning the Exodus, even for those who have passive knowledge of the information. At another level, someone who asks himself or herself questions and then answers them, can delve deeper and discover new aspects of knowledge. This is common practice in universities, where a researcher finding himself or herself at an impasse takes a walk alone while conducting an internal dialogue, which may culminate with new insights into a subject with which s/he is very familiar. The question is a powerful tool for the advancement of the thinking of both the one who asks and answers it. The rabbis identified a particular type of question, known as a kushiya. A kushiya queries a practice that contains an internal contradiction or which runs contrary to other authorized sources. Unlike the kushiya, an ordinary question generally begins with the word “what,” for example, “What time is it?” It is as if the object of the question has something, information, that the one asking the question needs, and that the one asked “lends” out (literally, sh’ayla, in Hebrew). The one posing the kushiya sees the whole picture and has expectations of a rational world order. That is why any contradiction requires a rational explanation. We might expect that the more one learns, the fewer questions s/he might ask, after all, s/he already has so much information. But the true intellectual will pose ever more kushiyot, because s/he is all the more aware of the complexity of the world, which is arranged according to so many principles. Curiosity is increasingly aroused and that is why the wise child is the one who asks the kushiyot of his or her own volition, while the younger children need the help of the parent to ask even the simplest question. “You shall tell your child on that day: ‘It is because of this, that the Lord did for me when I went free from Egypt.’” Could this verse mean that you should begin to tell the story at the beginning of the month (in which the Exodus occurred)? No, for the verse explicitly states “on that day” (of the Exodus). Could that mean that we start when it is still daytime? No, for the verse explicitly states: “because of this.” “This” refers to matzah and maror laid before you (only on seder night) (Mekhilta). “This” implies that the parents must point at the matzah and maror, and use them as visual aids to tell the story (Rabbi Simcha of Vitri). “Could this verse mean” introduces an imaginative, alternative hypothesis based on the biblical text. “No, for the verse explicitly states that” is a strict construction of the meaning of the existent version of the text that neutralizes the feasibility of an alternative suggestion. Indeed, the midrashei halakha ask even when no additional version has been found, and only an imaginative person could envisage other reasonable possibilities. There is no attempt here to undermine the accepted text or religious practice, but rather to understand what lies behind it. If so, then the study method of the rabbis is seemingly founded on a paradox. In order to understand the reasons for the existing order of the customs or the words of the biblical text, we must be able to conceive of another order based on alternative logic. Only that which is not self-explanatory and is not accepted blindly as tradition can lead to a process of thought and discovery of the rationality it contains. The ideal scholar in the culture of the rabbis is not an authoritative figure acting on the basis of a simplistic faith who accepts basic premises without question. Noam Zion has been a senior research fellow at the Shalom Hartman Institute since 1978, and he teaches in Hartman Institute rabbinic programs. He also works with the Muslim Leadership Institute, the Hevruta gap-year program for Israeli and American Jews, and the Angelica Ecumenical Studies program in collaboration with the Vatican University Angelicum in Rome. He has developed study guides on Bible, holidays and rabbinic ethics, has numerous publications to his credit and lectures worldwide. 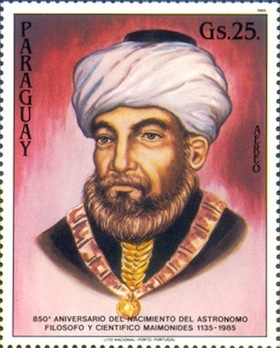 Articles by Zion and other Hartman Institute scholars can be found at shalomhartman.org.